Ed. Note: Today's column is the third in a three-part series by Divinity School faculty reflecting on the Christchurch mosque shootings in New Zealand during Friday Prayer on March 15, 2019. Last Monday, Richard Rosengarten wrote about the challenges and possibilities of religious responses to tragedies like this one. On Thursday, Cynthia Lindner considered the "power of silence" in response to terror and tragedy. So wrote Emily Dickinson (1830-1886), one of this nation’s greatest poets, in poem number 254. Scholars like W. Clark Gilpin, in his insightful Religion Around Emily Dickinson, probe the religious meaning of the work of this most private of writers. But this Sightings is not about Dickinson’s religion or poetry (I have no competence to do so), but, rather, how her thought enables us to grasp some of the ambiguity of our situation. After all, forces at work in our lives—private and public—often remain unarticulated until we find words or images to give them voice. Poets are masters of giving voice to those forces that we, as vulnerable beings, endure, seek to evade, or occasionally conquer. So, what unarticulated forces does Dickinson enable us to name and so better understand? If one scans the papers, it is not hard to see that there are storms, gales, of violence and despair that are abashing, embarrassing, the little bird of hope. A violent and hate-driven white supremacist kills fifty Muslims in Christchurch, New Zealand. He spews his ideology and even shares his actions on social media to gain worldwide attention. As one commentator, University of Chicago Professor Kathleen Belew, noted on the PBS NewsHour, it is clear that the killings in mosques, synagogues, and churches around the world are not disconnected acts by rogue, angry white men, but rather are connected through social media in a leaderless-yet-global movement aimed at inciting religious and racial conflict. Often driven by an intense revulsion of immigrants and fear that “whites” are being replaced by them, racism turns violent. (One Sightings contributor has written about this phenomenon among white supremacists as “ritualized racial violence.”) Make no mistake about it, this is a global phenomenon, no different than other terrorist groups. Hopeless men (always men, not women) unleash a torrent of bullets to kill the little bird of hope so it will never sing. Communities mourn and seek consolation amid a deficit of hope wrought by the devastation brought upon them. And yet, communities bind together; people once unconcerned come to the aid of their hurting neighbors. Sadly, white supremacist terrorism is not the only clash between hopelessness and hope we see across our land and the world. Commentators like David Brooks rightly note that in this nation we are in the midst of an existential and value crisis. As Brooks wrote in his column “Fighting Suicide is a Collective Task” (The New York Times, March 15, 2019), some 45,000 Americans commit suicide every year. Presently there is a spike in teenage suicide rates twice the national average. We are, as Brooks says, in the midst of a “suicide epidemic.” Isolation, addiction, guilt, endless suffering, and hopelessness are all causes of suicide (though not an exhaustive list). It seems that there are few cultural resources to battle this epidemic. First, we can set ideology aside, as it is not at stake in the way it is with global terrorism, and turn our focus, rather, to questions of what makes a life worth living. The increased concentration of wealth and opportunity—and who can doubt that wealth can create disproportionate and ill-got opportunity in the wake of the recent college admission scandal—whittles away at the souls of young and old alike. And without wealth and opportunity, does life have worth and purpose in our toxic consumeristic, money-driven society? What is needed is a source of worth that is not for sale, non-fungible, but given, like hope, to all. Without such a source of worth, can meaningful human lives endure? Can the little bird of hope sing again? Yet once more people grieve together, heal together, seek out the suffering in order to preserve their lives. The great Enlightenment thinker, Immanuel Kant, thought that philosophy was about what we can know, what we ought to do, but also, in the domain of religion, what we can hope for. In his mind, hope opens a temporal horizon upon which we can stake our lives in the endless struggle to match goodness and happiness, to find justice and peace. Further back in time, the great medieval theologian, Thomas Aquinas, insisted that hope is a “theological virtue,” infused in the soul by the Holy Spirit, imagined as a dove, a “thing with feathers.” Anticipating Dickinson, Aquinas knew that hope does not ask a “crumb” from us. We cannot make ourselves hope by a sheer act of will. Hope is a gift, even a divine gift. What the poet, the philosopher, and the theologian each understood was that, thrown back on our own devices, meaning fades and the little bird is stilled. Hopelessness lurks in a society (and even now perhaps in a global culture) that shackles individuals by forcing them to make the meaning of their lives while enduring the displacement of peoples, racist hatred, and the constriction of opportunity, all the while being fed the lie that everything—even everyone—has a price, is fungible. This situation is, in the eyes of this Sightings columnist, a profoundly religious matter. 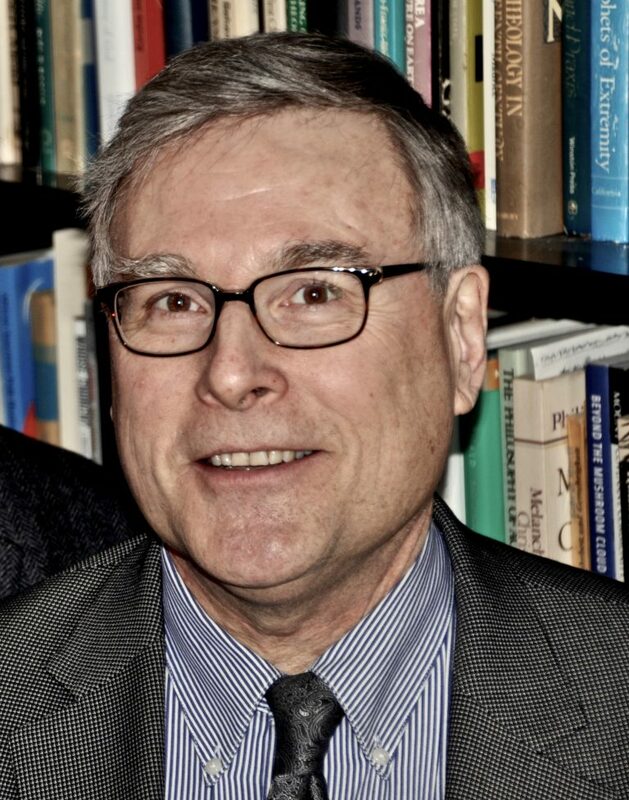 Author, William Schweiker (PhD’85), is the Edward L. Ryerson Distinguished Service Professor of Theological Ethics at the Divinity School. Sightings is edited by Joel Brown, a PhD student in Religions in America at the Divinity School. Sign up here to receive Sightings via email. You can also follow us on Facebook and Twitter.